Bellevue Family Practice’s fully equipped laboratory offers a wide variety of clinical testing. It is staffed by three employees who work together with the physicians and PA-Cs to give accurate and timely results. The Bellevue Family Practice laboratory covers the fields of chemistry (electrolytes, liver enzymes, specific hormones, etc. ), hematology (blood cell counts, diabetic glucose levels, etc. ), and urinalysis. Nebraska Lab Clinic in Lincoln serves as the Bellevue Family Practice’s primary reference laboratory. 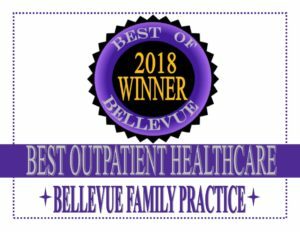 They provide support for the Bellevue Family Practice laboratory staff and aid in diagnosing disease through the examination of cells and body fluids.